But on this point I have a multitude of defenses. The best Italian beer is not only world-class, but some of the best beer I’ve ever tasted. But more than that, Italians have, in just 19 short years, developed their own brewing traditions so that it’s possible to talk about “Italian-style” beer. It’s one thing when a country’s breweries develop the skill and knowledge to reproduce quality examples of existing styles. It’s another, far rarer thing when they develop their own styles. So how did they get here, and what are the markers of “Italian-ness?” Here’s a primer. Into this vacuum stepped two important figures. 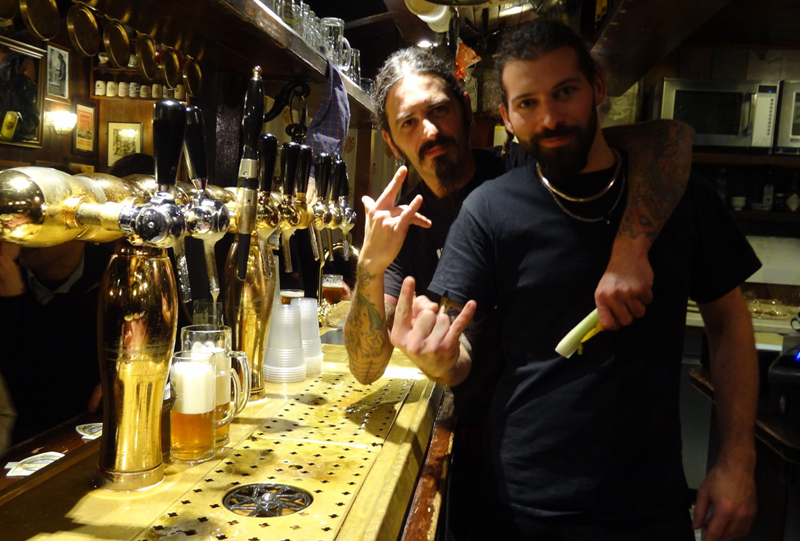 Agostino Arioli and Teo Musso both started developing a passion for beer in the 1980s. Arioli, technically inclined, was trying to figure out how to homebrew in high school. Because nobody was homebrewing there at the time, he developed connections in Germany through his father for the tools to make his own beer. 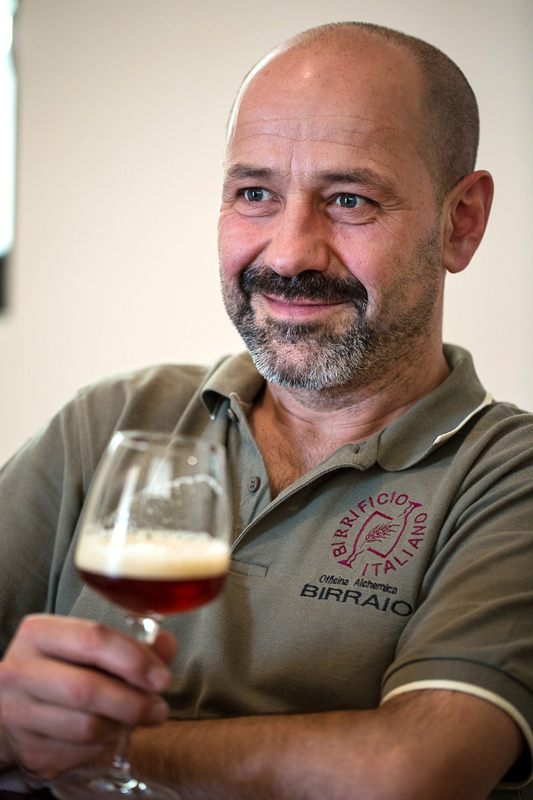 Following college, he worked for two brewpubs in Germany before returning to Italy to found Birrifio Italiano in 1997. Because of his background and connection to Germany, he focused on lagers. Musso’s twin passions of music and beer led him to start a pub in his hometown of Piozzo. If Arioli’s propensity was toward the technical, Musso’s was creative. (He looks more like a musician than a brewer.) He opened the pub in 1986, stocking it with beer from around Europe. He was especially drawn to the beers of Belgium, and in the early 90s began traveling and talking to breweries there about the possibility of starting his own. 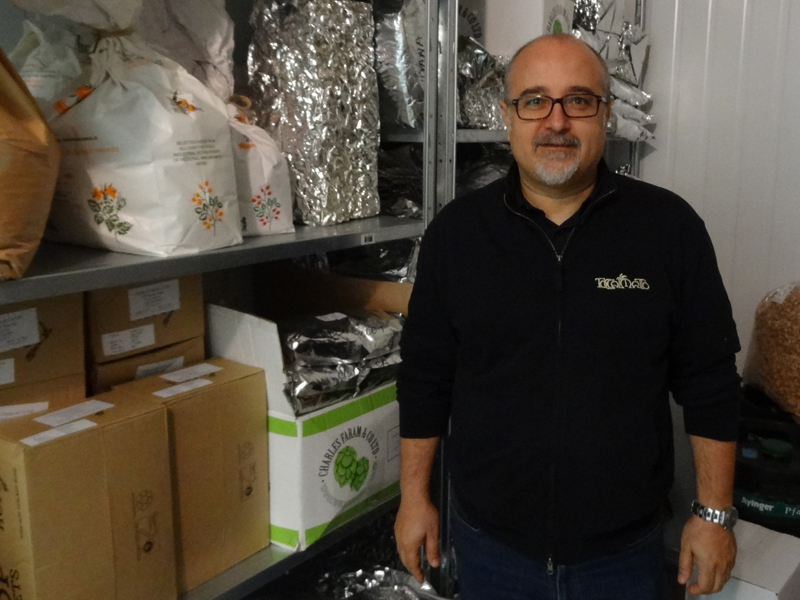 In 1996, he sought the help of Jean-Louis Dits at La Brasserie à Vapeur and welded his own five-hectoliter brewery, starting Baladin. Thus were born the first two tracks, based on the beers of Germany and Belgium. But, much like breweries in the United States, they didn’t have any particularly fealty to those traditions and immediately started tweaking them. Arioli’s lagers were fermented a bit warmer and are tinged with the fruit of subtle esters. He also appreciated the English practice of dry-hopping and saw no reason not to use it on his pilsner, Tipopils, one of the most influential beers in Italy. Musso, meanwhile, was quick to experiment with culinary ingredients and barrel aging, drawing on the twin Italian inspirations of wine and food. The final track developed out of the burgeoning new-brewery scene in the 2000s and took its cue from the United States—but only to a point. Italian brewers were impressed with the hoppy verve of American ales, but found them unbalanced. Toccalmatto’s Carilli is a proponent of this school, with a number of hop-forward ales (which also borrow some elements of English and Belgian traditions), and he speaks for his country in describing his approach. “A beer with an American taste but European drinkability. Some American IPAs have too much caramel—it is not my taste. I don’t like so much caramel and body.” He uses pilsner malt and late-addition hops along with characterful yeasts that sometimes border on the Belgian. It took me awhile to nail down what connected the three tracks of Italian brewing, but I think it comes down to the food. Beer is never taken on its own terms, but thought of as one element in a gastronomic experience. It is so embedded that as I traveled around the country, I kept getting blank stares when I asked about it. Of course the beer has to harmonize with food. It’s too obvious to acknowledge. I had to unpack this whole dynamic before I saw the light of recognition dawn in Agostino Arioli’s eyes. He regularly travels to the U.S., and has seen how beer is treated here—divorced from the considerations of food. He had seen brewers fail to appreciate this connection. The result of this culinary approach are beers that are extremely balanced. Unlike the American tradition, where intensity is prized, the Italians favor harmony. Hoppy beers are not too hoppy; sour ales never too sour. Arioli’s simple lagers, on the other hand, are not too simple—he tries to add “complexity and elegance.” Beers shouldn’t be so strong as to overwhelm food, but neither are they made too simply, to be drunk alone, by the liter in a pub. That’s the Italian way. Great article Mr. Alworth. Who would have thought Italy a beer destination? Your words evoke a blooming Napa of the beer world. Great beer + great food = what Napa became to wine. Thanks for a journey to savor. I knew. From the verry moment when i opened re ale from birradelborgo. This article is great on so many levels! I have fallen for Italian beers while living here. Where once I craved the hoppiest beer available, they are now too strong for me. I love the subtle balance (but never too subtle!) of Italian craft beer. Something I can’t figure out yet is if Italian beers are slowly evolving, in general, even now – or if my tastes are evolving. I say this because 3-4 years ago, many beers had a sweetness to the aftertaste that I found unpleasant. I almost never find that anymore. I’m curious to know if anyone else has noticed this. Birrificio San Michele makes an awesome smoked beer, btw. Piemonte. I had a couple of really nice Italian beers in Florence. One was a pepper saison that was fantastic. 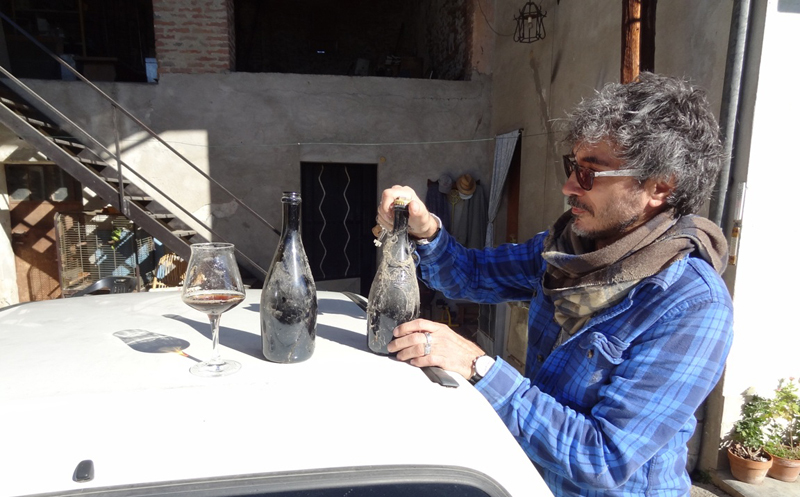 Even if Riccardo Franzosi is one of the most skilled brewers using wood in Italy, Montegioco Quarta Runa is not a barrel aged beer. If anyone would liketo try a barrel aged beer brewed in Montegioco I suggest Mummia or Dolii Raptor. Thanks to both of you. Diana, I think it’s a sure bet they’re evolving. But I bet they will continue to retain a distinctively Italian character. I HIGHLY recommend Helsinki (Finland). I’ve been there 3 times in the past 3 years, lots of good local stuff. Ireland is getting there, but the beers are very localized (from what I read and follow). There was a great beer bar in Dublin, forget the name now. Awesome story! I just got back from Milan about a month ago and loved the beers I had there. The Italians innovation is inspiring and cannot say enough good things about them. Birra Moretti makes a Geand Cru you must try. As for one of the comments, Helsinki is a most too! Great article! I look forward to visiting soon.. In reply to Walter, was it the Porterhouse? I was just in Dublin and stopped there a few times. Very unique beers. Craft beer seemed to be coming along slowly but surely in Ireland. The reference is the ads for the Fiat of a few years ago. Not a surprise for me, I’ve tasted Italian beers for over 10 years now, and I’vd come across some fabulous beers. Not mentioned in the article but also very well worth trying are the beers from Montelupo, Del Fort and Due Mastri. Couldn’t agree more. Was in Como n was amazed at the selection of craft beers … Italian n international ! Lot of beers to taste. Il was in Novara Android discovered birra la Tresca in a restaurant. I also had a great pressure with a Open amber draft…. in a wine bar of Novara. Il was in Novara and discovered birra la Tresca in a restaurant. I also had a great pleasure with a Open amber draft…. in a wine bar of Novara.